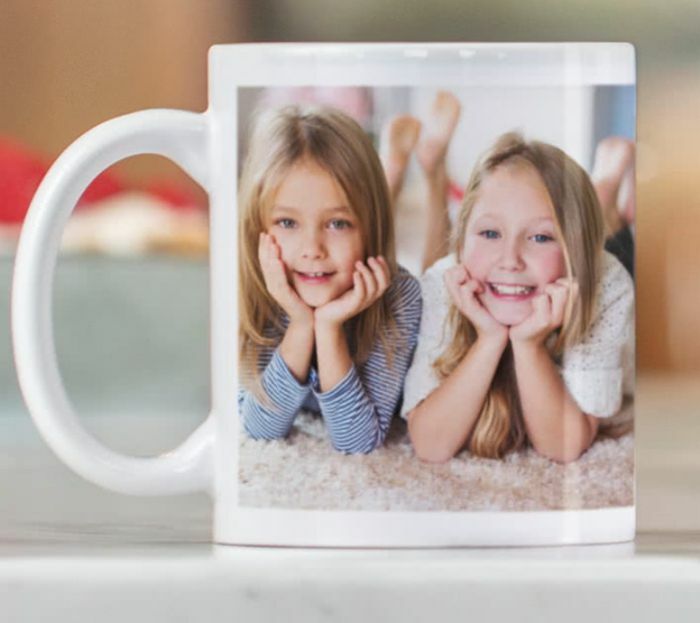 Just print your favourite photo on your personalised mug – plain and simple. Put that funny picture of the cat mid-sneeze on your personalised photo mug and brighten up even the gloomiest of mornings. Many thanks for the recommendation. Purchased and only had to pay postage £3.99!! Oooo nice freebie thank you for sharing have just received confirmation that mine will be posted in the next 7-10 days!! Just bought one of these, always handy to have about as a present for someone. Thank you so much for sharing the deal, will get one for my daughter. Could be a nice present for someone. Pp is not that much. I might get one. Thank you for sharing it. I had one of these on a previous deal and have never drunk out of it...I just like looking at it!!! i have just ordered mine thank you so much for sharing! I received my mug and am very impressed. It is sturdy, as I discovered when I knocked against something, it didnt break, phew!!! !